You’ve already learned a great deal about me. What else is there to know? I’ve been acting on stage for… well, more years than I care to admit. At one time or another, I’ve performed and/or directed at most of the community and regional theatres in the area. And I also worked for ten seasons at the Pennsylvania Renaissance Faire–most memorably, selling pickles. I’m also fascinated by Civil War history. 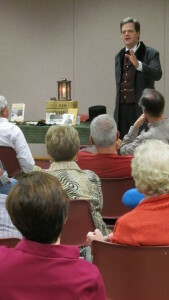 I’ve led almost a thousand walking tours in Gettysburg, I perform as a living history interpreter along the Civil War Trails, and I speak on the Civil War for the Pennsylvania Humanities Council, as part of their “Commonwealth Speakers” lecture series. 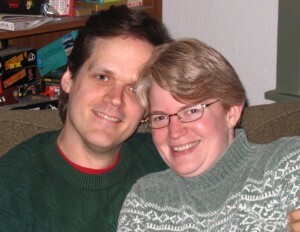 I live in central Pennsylvania with my beloved wife Rhonda and a varying number of cats.